Who wouldn’t want to be in 3 countries at once?! The Fürstin-Gina-Weg offers views of some of the prettiest scenery in Eastern Switzerland and Liechtenstein. 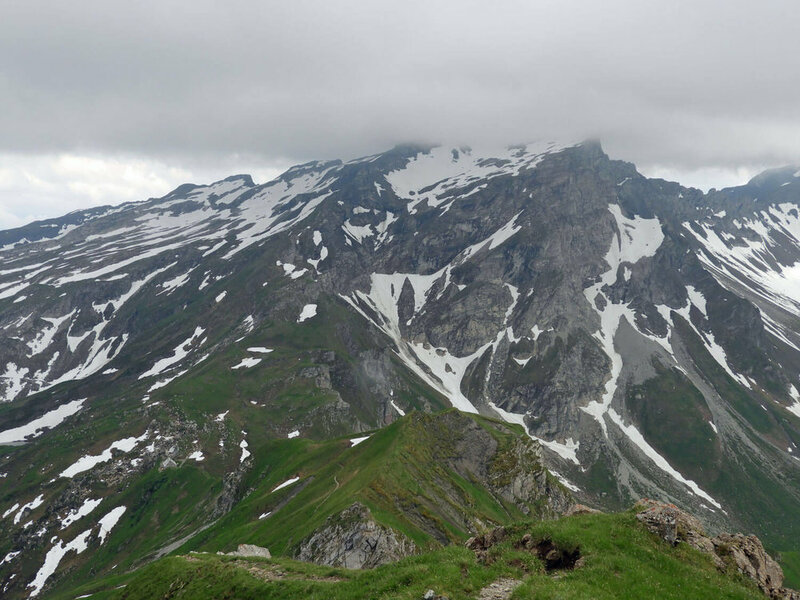 Our top tip is to split the hike into two parts, staying the night in the charming Pfälzerhütte, and continuing up to Naafkopf peak in the morning - the peak defining the borders between Liechtenstein, Austria and Switzerland! The hike to Naafkopf peak is one of our all time favorites. We began in the town of Malbun, Liechtenstein (5,249 feet / 1599 meters) at about 3:00 pm. From there, we had the option to take the Sareis chair lift or hike 2000 meters up to the Bergrestaurant Sareiserjoch in Triesenberg. Being the adventurous, yet thrifty, people we are, we decided to hike from the base. What began as a gradually increasing mountain road eventually turned into switchbacks which led up to the more challenging Sareiserjoch ridgeline. Traversing the ridgeline led us up to the summit of Augstenberg mountain, at 7740 feet / 2359 meters. The views from the top were awesome. From there we hiked down the steep mountain side to the Pfälzerhütte - one of our very favorite parts of the trip. We reached the hut by about 7:20 pm - just in time for a well-earned dinner. We split a bratwurst with Rösti (our favorite!) and apple strudel covered in vanilla sauce for dinner. It hit the spot. Shortly thereafter we headed to bed, but it wasn't too long before our alarms were startling us awake again. 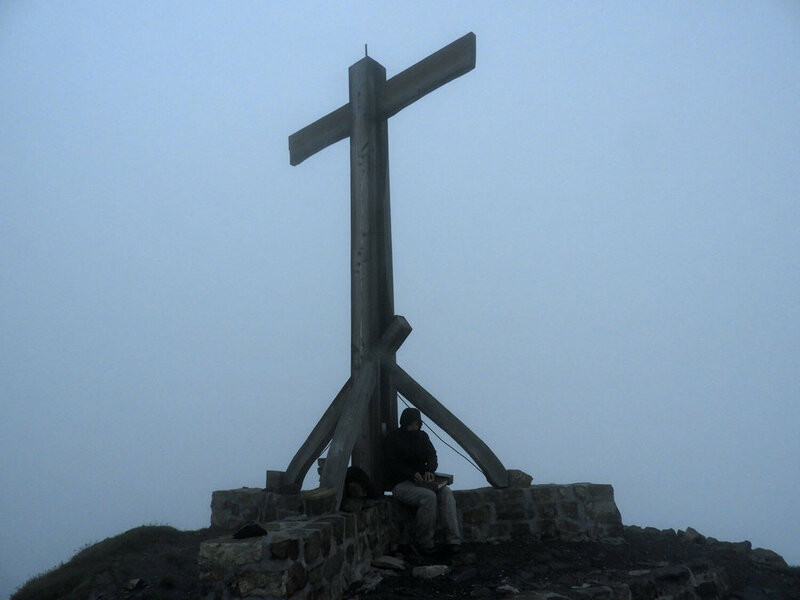 We woke up at 4:00 am to hike to the summit of Naafkopf peak (8,432 feet / 2570 meters). 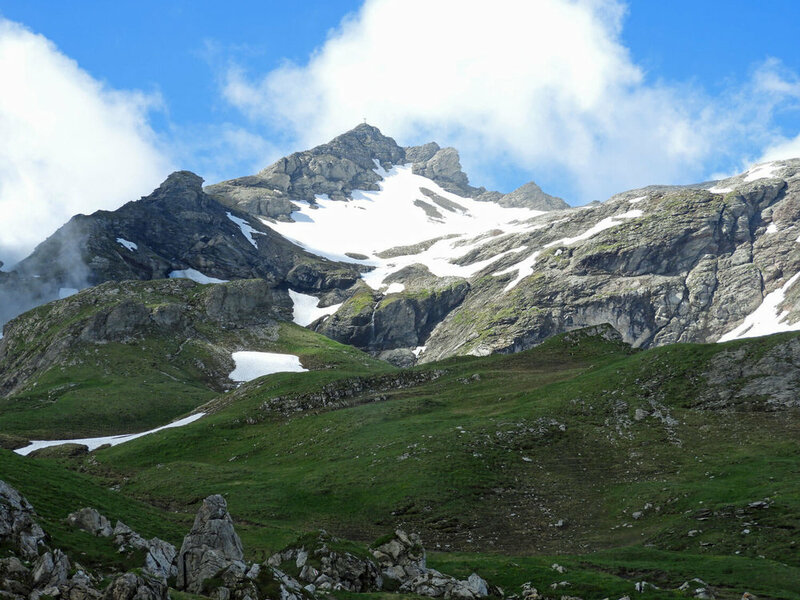 In addition to being the peak where Liechtenstein, Austria and Switzerland meet, it is also Liechtenstein's third tallest peak. We decided to hike to the peak first thing in the morning in hopes of seeing a stunning summer sunrise, but the conditions on the peak were actually quite foggy and freezing. The hike is described as "medium" difficulty, but parts of it were quite challenging with lots of exposure over incredibly slippery snow banks. 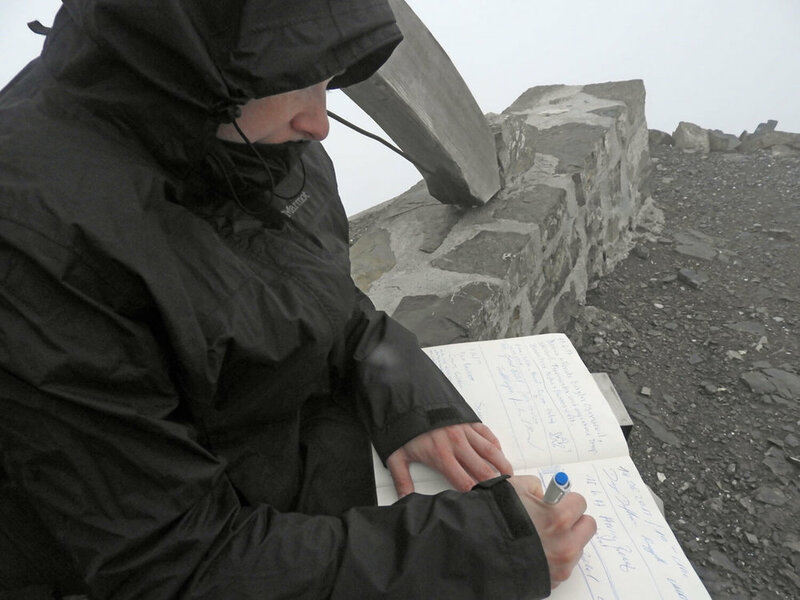 We reached the summit by 5:30 am and had it all to ourselves, though we didn't stay long due to the adverse weather conditions. Back at the hut we sipped on some hot chocolate and took the best nap we ever had - sleeping until housekeeping came in to clean the room. Once we hiked back down, the conditions cleared up and the sun came out. We enjoyed a beautiful hike back down the lower road to Malbun through flower-filled fields with a choir of cow bells ringing in the distance. Overall we hiked about 20 km/12 mi and loved every minute. Although we're thrifty, in retrospect, should you choose to take the Sareis chair lift, it's not very expensive compared to others we've seen (about 9 CHF one way or 15 CHF for roundtrip). Click here for more detailed Fürstin-Gina-Weg trail information. We reserved our room in the Pfälzerhütte the night before our hike via telephone. The woman who answered spoke English. It was 30 CHF each for a private 2-person room with bedding (summer 2017). This was definitely one of our favorite parts of the hike - we highly recommend you do the same! See their official website for more information.